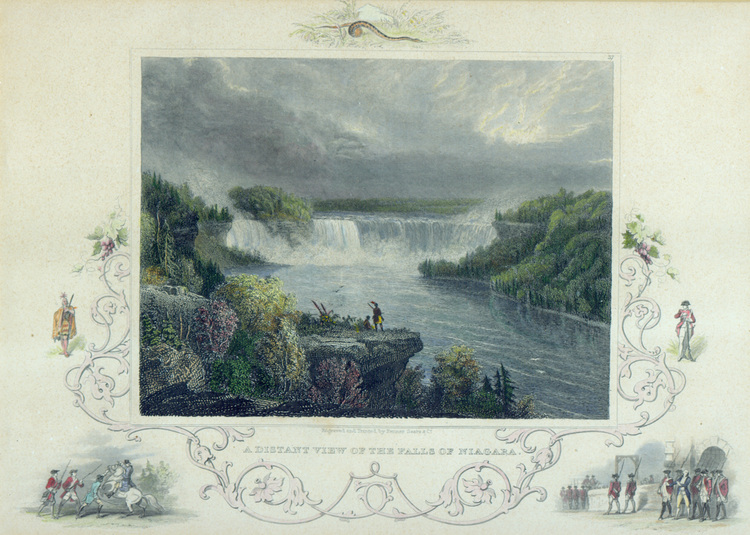 A Distant View of the Falls of Niagara. 1835, by Thomas Cole. Courtesy of Niagara Falls Public Library. Circle at last to one common goal, the Mighty Sea-Water. Pilgrim I too once came, to tender my token of homage. ‡‡fleet course of the comet! ‡‡the whirl of the vortex. Answer, if answer thou hast! Answer, Niagara! Source: Myron T. Pritchard, comp. Poetry of Niagara. Boston: Lothrop Publishing Co., 1901.